Fast, affordable recruiting for any kind of user research or testing. Sign up today and we'll recruit your first 3 participants for FREE ($90-$210 value). Sign up to earn money participating. We’ll help you recruit and manage your research logistics for any safe and legal user research method you can think of: interviews, focus groups, moderated usability tests, unmoderated tasks, diary studies, shop-alongs—you get the idea. Access our quality audience. Fast. Include study details and demographic criteria for your participants. Ask any questions you like to find your ideal audience. 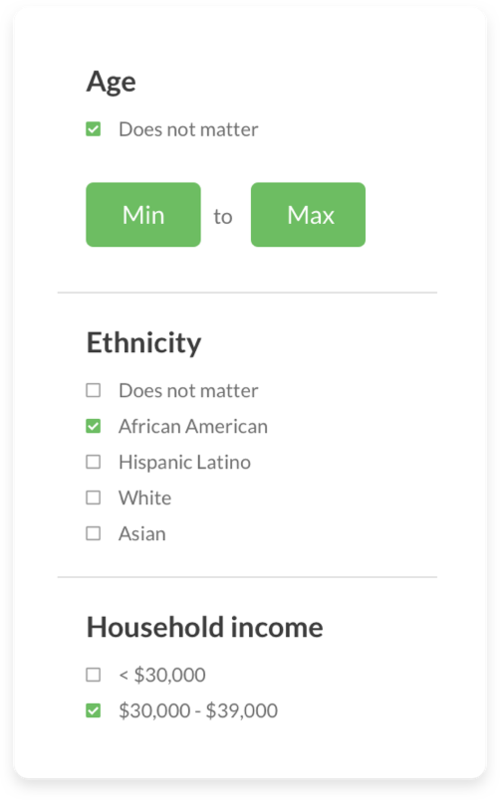 We’ll automatically filter based on results. We'll notify relevant people from our audience. In most cases you'll have qualified participants in under a day. You’ll see qualified participants in your queue in real time. 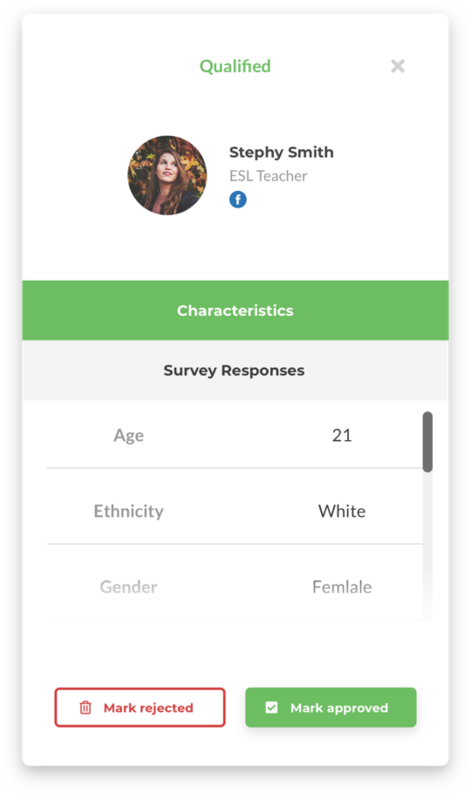 Approve candidates based on profile and survey responses. 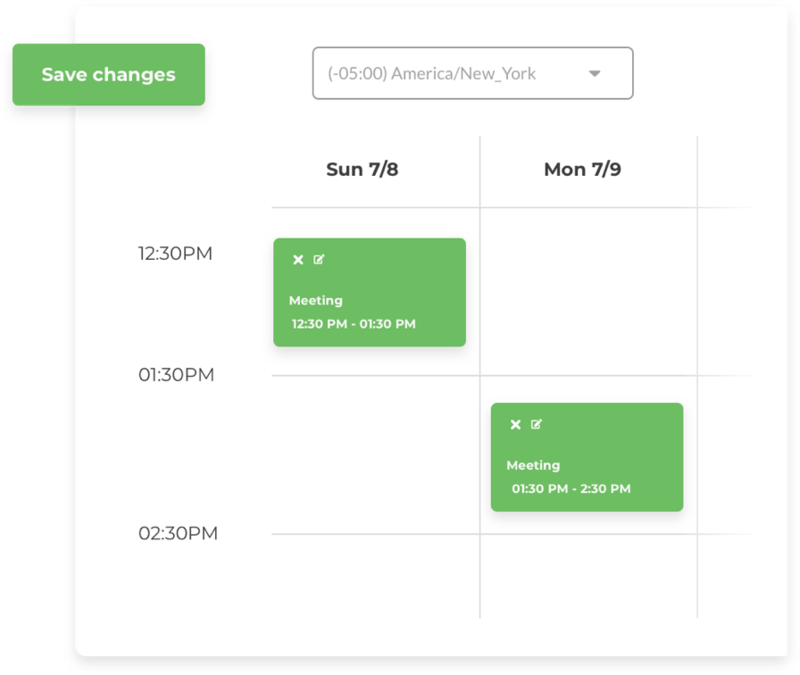 Sync your calendar and let participants schedule themselves based on your availability. No back and forth. We’ll process payment via Amazon gift cards in the amount you choose. Or you can handle if you prefer. 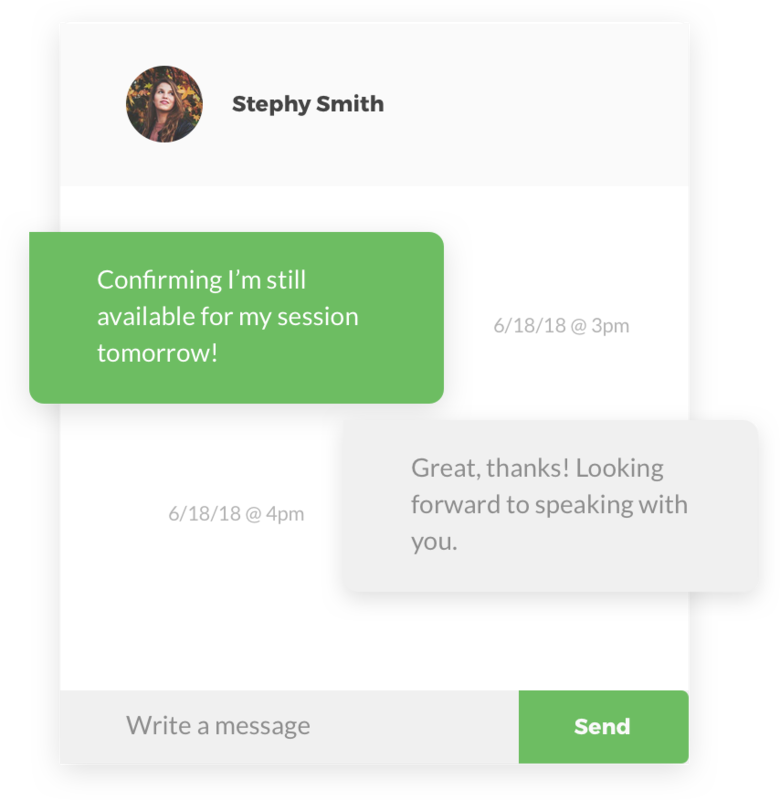 Use our message center to communicate with users right within the app. The prices above do not include incentives. How much you pay in participant incentives is up to you. You can pay your participants on your own however you like, or we'll handle this for you through Amazon gift cards. In this case, when you mark a session complete, we will release payment immediately. We charge 3% of the incentive for this service when paid by credit card. Get user insights faster. Sign up now. Sign up and we'll recruit your first 3 participants for FREE.